We’re a few days late on our World Sea Turtle post, but that doesn’t mean we don’t love them less! These marine reptiles have been around 110 million years! Most of these rocking reptiles are endangered, so let’s work to protect them! We’ll share some cool facts and then some ways you can help! 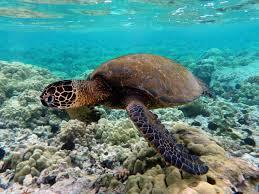 Sea turtles spend most of the lives at sea. Females come ashore to lay their eggs. 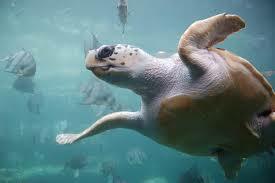 Sea turtles can not pull their limbs into their shells. Leatherback sea turtles do not have hard shells. Females lay 50-350 eggs in a nest they lay on the beach. All eggs hatch at the same time. The hatchlings must dig out of the sand and head for the beach. Most hatchlings hatch at night! 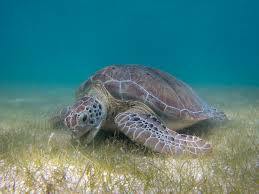 Sea turtles eat a variety of food, including sea grasses and jellies. Sea turtles have a gland by their eye that excretes excess salt. Turn off lights at night on beaches where turtles nest. Remove all trash from the beach- it can hinder hatchlings on their way to the sea. Use reusable bags, plastic bags can look like jellies to sea turtles. Get involved in a beach clean up. Do not release helium balloons- they fall back to earth and are often ingested by turtles and other marine life. Check out groups like the Sea Turtle Conservancy! I actually got to see a sea turtle once. It was pretty amazing. They are beautiful animals.